Incorporated in the year 2005 and established in the year of 2011, at Mumbai (Maharashtra, India), we, “Rainwater Systems” are reputed trader, distributor and Service Provider of Online 'Rainy' Filters,Artificial Groundwater Recharge Systems, Rain Gutters, Filter & First Flush Device and Cross Wave Spacers such as V-Wire Screens, Artificial Groundwater Recharge Systems, Rain Water Collection & Storage Systems, Rain Gutters, etc. The offered range is precisely designed and manufactured using premium quality raw material and cutting-edge technology at vendors end in their state-of-the-art manufacturing unit in compliance with international quality standards. Owning to features such as high efficiency, easy installation, superb performance, hassle free operation and long service life. These products can be availed in various specifications in order to fulfill the variegated requirements of clients at economical prices. Besides, we also provide effectual and reliable services like Water Management Services, GPS Survey Services, Geophysical Surveying Services, Annual Maintenance Services, Technical Services, Computer Technical Services, Modular Stepwell Recharge Pit Services and Rain Water Harvesting Consultancy Services which are rendered as per the set industry standards with help of our team of highly skilled engineers. We are associated with reliable vendors of the industry, who provide us flawless gamut of products as they manufacture these products using quality tested raw material, along with advanced technology and ultra modern machinery. 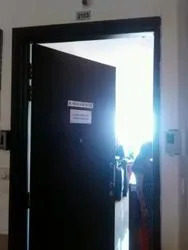 The selection process for the best vendor is done by our procuring agents on the basis of parameters such as economic position, control measures, market credibility, manufacturing techniques, etc. 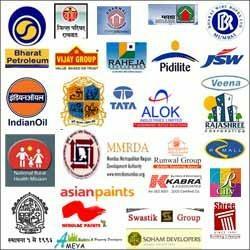 The vendor list that we maintains is on the basis of the inventory which we receive from them. 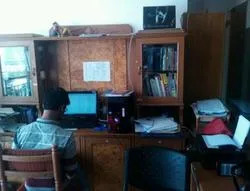 Our organization has employed highly skilled and qualified professionals who have vast experience in this domain. We have deployed a highly skilled team of professionals that works round the clock to improvise the quality of the products that we offer. Further, we have set up a well-equipped large warehousing facility with a smooth inventory management system that is handled by our warehousing personnel to keep products in safe and sound manner. In a short span of time, we have accomplished a respectable position in the industry by providing dependable and immaculate services that are rendered in compliance with set quality norms. The offered services are performed by our highly skilled professionals by utilizing innovative technology and ultra modern technology. Our participants in the consultation meeting held by Ministry Of Water Resources Government Of India at New Delhi and many other such events have enabled us to attain a recognition in the industry. Apart from this, we follow business ethics and ensure transparent & honest trade dealings that have strengthened our foothold in the market. Social, Cultural and Financial Future Lies with Best Water Managers. Working in compliance with the standards set by the industry, our organization has been able to achieve a remarkable market position. Possessing vast knowledge regarding the water resources management, its distribution & storage and varied other aspects related to rainwater harvesting, we have been able to undertook a number of successful projects. Moreover, it is our complete dedication and ethical proceedings that have enabled us to achieve the following awards and reputed recognition. Enabling people and organization to become self - sufficient of their water requirements, by offering an effective solution on total water management. Aspire to grow as a leading Fresh Water Management Company in India. 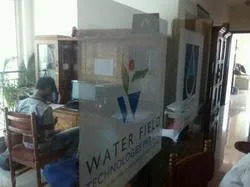 Our sister concern company, Water Field Technologies Pvt. Ltd. have been offering Water Management Service to the customers for last 15 years. The consultancy solutions for water management and rainwater harvesting projects undertaken by us are widely appreciated among for their effective results and reliability. The offered high-end services we offer are widely availed by rural, urban and industrial sectors. These services are rendered by our qualified professionals with the aid of advanced technology and equipments. Rain Water Harvesting at Redwoods Society. Rain Water Harvesting (RWH) system is not merely a product but a technology which offers effective solution on water management dealing with rain water and ground water. For designing the RWH system various factors are taken into consideration like the water availability, consumption, requirement, existing facilities like storage tanks, distribution networks etc. Veena Diecasters & Engineers Pvt. Ltd.